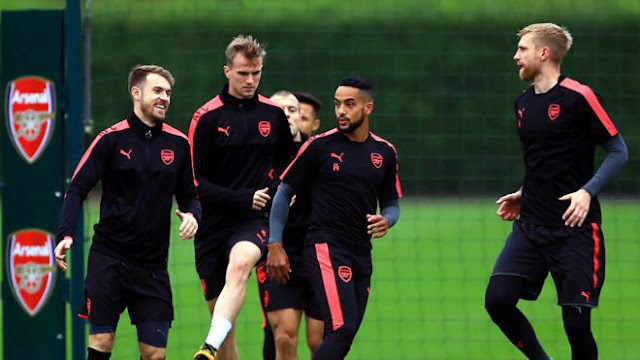 Arsenal manager Arsene Wenger has said he wants Theo Walcott to remain at the club and suggests the winger will get more playing time in the Premier League after being mostly restricted to cup competitions this season. Arsenal great Ian Wright said earlier this week that the 28-year-old must bring his 11 years at the club to an end for the good of his career. England international Walcott has made just three substitute appearances in the league this season and only scored in the Europa League and League Cup, netting three times in five matches. "I do not want Theo to move on," Wenger told reporters on Thursday. "His time in the Premier League will come. "At the moment he has got less minutes in the Premier League than other competitions." Fifth-placed Arsenal host Swansea City (15th) in the league on Saturday.